New Supt. Warren Drake has brought in several new top administrators including Dr. Michelle Clayton as Deputy Superintendent and Adonica Duggan as Chief of Communications. Both served in the Zachary school system when Drake was superintendent of that award-winning system. • Deputy Supt. Michelle Clayton, Ph.D., served as Executive Director of Academics in Zachary schools. She is recognized for her knowledge of the state accountability system as well as curriculum and instruction. 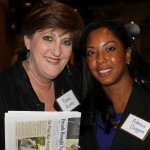 • Adonica Duggan Chief of Communications and Public Relations. She held position of Supervisor of Technology and Communications in Zachary Community School District. • Chief Technology Officer Richard Ellis who joined the staff from Iberville Parish schools where he successfully oversaw the roll out of the district’s one-to-one initiatives. Vacancies to be filled in the coming weeks are Chief of Student Support Services, Associate Superintendent of Academics, JumpStart Supervisor, and Director of High Schools. Duggan’s role will be similar to duties in Zachary, where she provided communication strategy and guidance for the superintendent, school board, and administrative team. In that capacity, she designed and developed a successful network of award-winning school district websites. She is a winner of the National School Public Relations Association Golden Achievement Award. Prior to joining the Zachary school system, she was editor of Baton Rouge Parents magazine and a graphic artist at Lamar Advertising. She is married to Daniel Duggan, and they have four children, ages 4 to 10. She is an avid runner and triathlete. She participates in Girls on the Run and is a Rocketkidz Foundation volunteer.